DEL MAR — The courts may have the final word on whether gun shows will resume at the Del Mar Fairgrounds. Utah-based company Crossroads of the West filed a lawsuit with the United States District Court against the fairgrounds’ 22nd District Agricultural Association Board of Directors on Jan. 21, after the board imposed a yearlong moratorium on the long-disputed event in September. The company is seeking injunctive and declaratory relief for a decision it views as a violation of its first amendment rights to free speech and assembly, as well its rights to equal protection and due process. It is also seeking damages for lost profits, among other costs to their business. Crossroads has held a gun show on the fairgrounds’ property five times a year for the past 30 years. 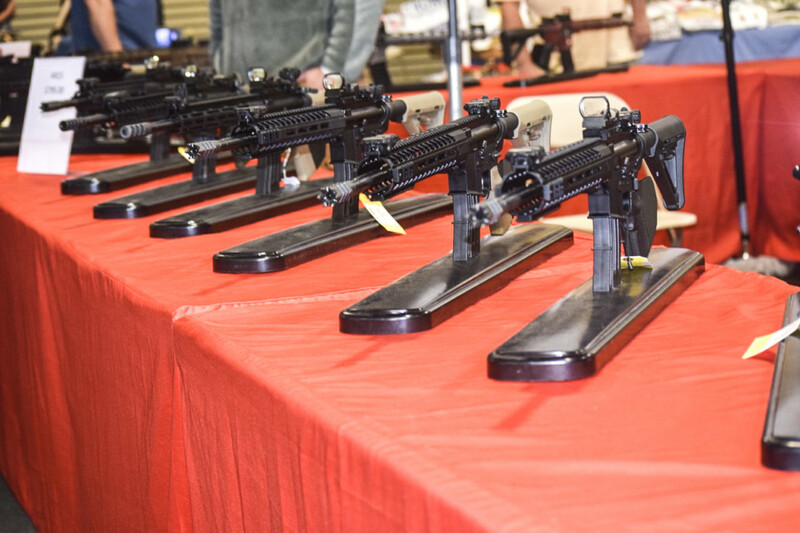 In early September, the board moved to cancel the event for the duration of 2019, until staff could develop a new policy regarding gun show events. The board’s Contracts Committee recommended the moratorium, further advising the board to put in place a policy that considers holding gun shows for only educational and safety training, banning the possession of guns on state property. In an email to The Coast News, the fairground’s Public Information Officer Annie Pierce reiterated that the board’s intent at the September meeting was not to permanently ban gun shows. The board has no further comment at this time. However, Crossroads President Tracy Olcott sees the board’s action as a “foregone conclusion,” a view shared by local pro-gun advocates. 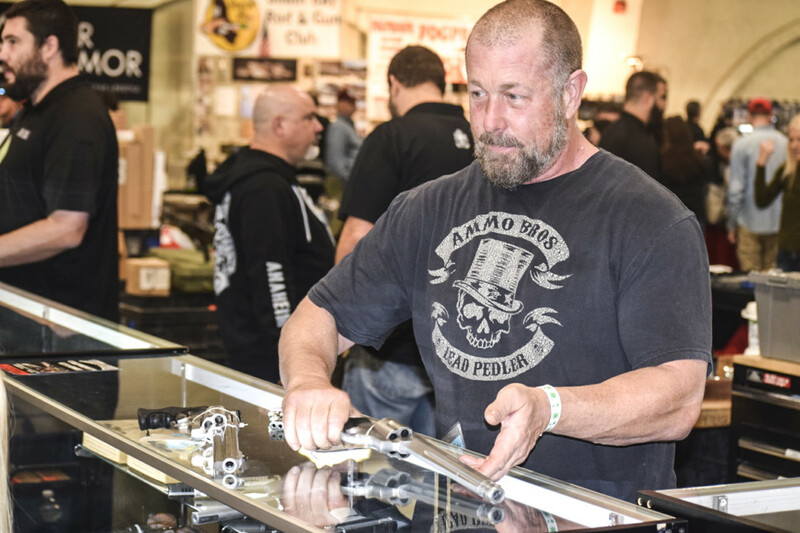 The gun shows attract vendors from across the region, selling everything from artwork and crystal balls to ammunition and semi-automatic assault rifles. Crossroads runs several such shows in California, Arizona, Utah and Nevada. A handful of frequent vendors and attendees are plaintiffs in the lawsuit, including South Bay Rod and Gun Club, a shooting club based out of Dulzura, California. Don Gussler, the club’s president, said South Bay has been attending the event for about six years, where the members hand out informational pamphlets and fliers. 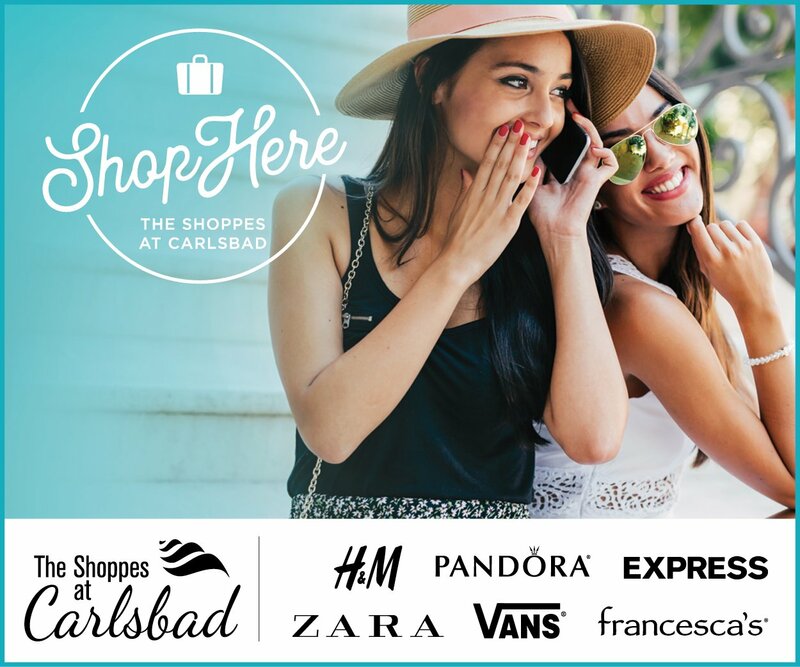 Gussler said the event is the club’s main venue for advertising and promotion. Other plaintiffs include the California Rifle & Pistol Association and the Second Amendment Foundation. Olcott said the board is bringing its own opinions into the mix in deciding the fate of the event, and representing only the views of the immediately surrounding communities in making its decisions. “To take a few people who are anti-gun and let them be the opinion of the whole county is pretty far-reaching,” Olcott said, stating that the events are “highly regulated” and promote “100 percent legal” gun-related activities. 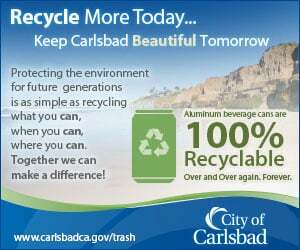 In keeping with its aim to present a new policy at the board’s December 2019 meeting, the board has appointed an ad-hoc committee to study the event. At the board’s Jan. 9 meeting, Committee Chair Frederick Schenk reported that the committee was beginning to meet with interested parties — legislative leaders, city officials and activists on both sides of the gun debate. He also pointed out the possibility of new legislation that might impact the viability of gun shows across the state. Gavin Newsom, California’s newly elected governor, has voiced his opposition to the possession and sale of guns on public land. The board is governor-appointed. “If there’s going to be some legislative direction, we’re going to have to be consistent with whatever that will be,” Schenk said. Area residents have been protesting the event for years. Opposition started gaining traction in early 2018, after a high school shooting in Parkland, Florida, sparked far-reaching outcries against gun violence. Locally, it spurred the formation of NeverAgainCA, a Del Mar organization aiming to end gun violence. 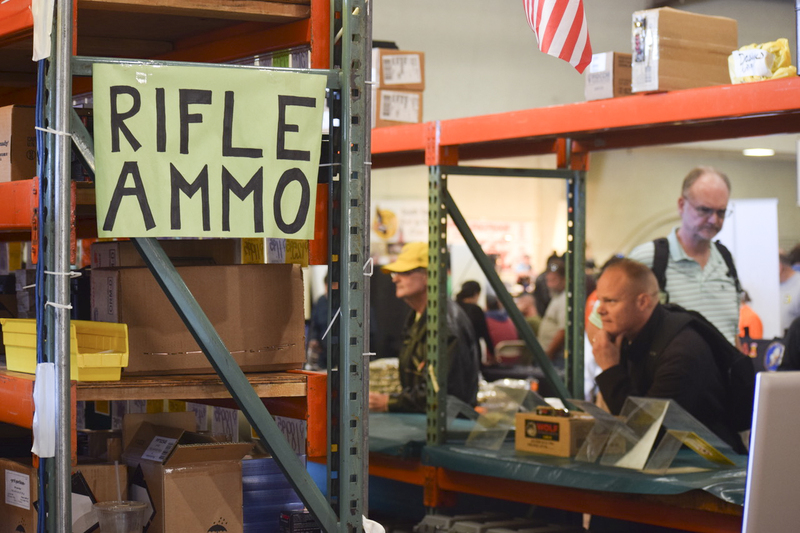 NeverAgainCA objects to gun show operators profiting from the proliferation of guns and ammunition sold on state-owned property, according to its founder, Del Mar resident Rose Ann Sharp. And NeverAgainCA is not alone in opposing the event — Del Mar, Solana Beach and Encinitas have all passed resolutions opposing the sale and possession of firearms on publicly-owned property. 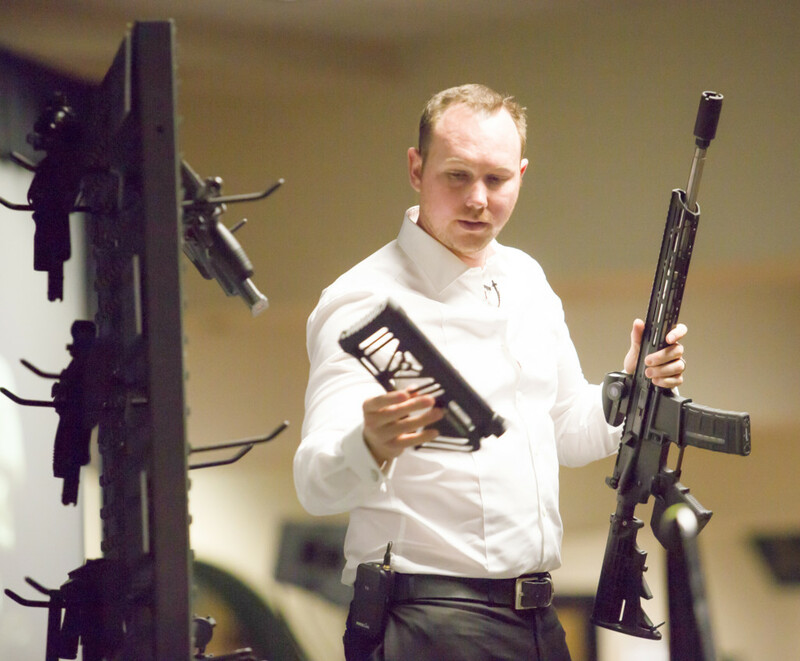 Schwartz, an outspoken advocate of the gun show, has been helping Crossroads look at different venues in the area. With few legal precedents paving the way for Crossroads, Schwartz said this lawsuit could be a determining point for gun shows in the state — which have so far eluded local as well as state legislative efforts to put them to an end. “I think that if they lose this lawsuit, you probably won’t see a gun show on public property five years from now … on any state property,” he said. In a similar case that dragged on for over 10 years, the Ninth Circuit Court of Appeals upheld the Alameda County Board of Supervisors’ authority to ban the possession and sale of guns in “sensitive places,” i.e. public property, after a gun show operator sued the board over its action. Crossroad’s complaint follows close on the heels of a case out of Fort Lauderdale, Florida, in which a gun show operator is suing the city for opting to end the event’s 30-year operation at a popular public park. all the public meeting the fair board held were for show. as i went to take my turn at a public comment time, i learned all the fair board members were appointed by gov. brown – how could they do anything but undermine the constitution rather than uphold it. the meetings were a disgrace and a punch in the face to democracy and our republic. You are correct in your statements…not only did Brown appoint the Boardmembers…he appointed many Bias Judges…such as Judge Michael Washington. We are slowly but surely losing all of our democracy and our republic…. Local governments have local over certain aspects of gun regulation, with limits guided by the Heller decision. Further specifics are being legislated and litigated on an ongoing basis. The board controls the facility, also bound by the constitution of course, but nothing in the second amendment or the Heller decision seem to indicate that they are required to host a public forum for the sale of firearms. That is just the way it is, I don’t see the courts forcing the issue. The second amendment is the foundation of our gun rights, but these are limited rights just as free speech is a limited right. It is likely the reality that we can neither falsely shout fire in a crowded theater, nor sell guns in a public facility when the public landlords – the voters and taxpayers – say no. It is not such a bad thing. I find the knee-jerk opposition to gun ownership and rights to be both annoying and deeply intellectually deficient, but the ammosexuals don’t look any brighter than gun prudes. In fact, quite often my 2A supporters seem to lack many signs of intellectual sobriety, legal knowledge or even strong emotional centering. Fellow gun owners, listen, nobody is coming to take our guns, unless of course you do something criminal or threatening that makes you either a permanent or a temporary prohibited person. So relax and enjoy your rights while the nation adopts reasonable restrictions within the limits already (again partially in progress) set forth by a conservative supreme court. Heller may have come from the sophistry of “originalism”, but it is also carefully and thoughtfully balanced between individual rights and state and local control. It is a shockingly decent and wise decision in that regard. You’re talking too much sense. I’m a gunowner and have been for years. I really don’t care whether this gun show happens or not. I’ve never gone to it. It’s not as if people don’t have other options for purchasing. I don’t feel my rights are being infringed upon or denied one iota. You mention in several places “semi-automatic assault rifles”. Please understand that there is no such thing and even the use of a term like that shows biased and/or uneducated reporting. A rifle must be capable of select-fire to be an assault rifle, meaning burst or automatic fire is an option. These civilian rifles are simply semi-automatic.